The Supreme Court has recently dismissed a curative petition filed in the much debated Saumya murder case. A six-member bench observed that no case was made out within the parameters indicated in Rupa Ashok Hurra vs Ashok Hurra & Anr [(2002) 4 SCC 388]. In this piece, let us take a peep into the experience in the past 15 years of introduction to the curative theorem and how the system of curative petitions works. The CPC and CrPC both mandate that institution of a suit has to be in the lowest court of competent jurisdiction. The aggrieved parties have statutory right to appeals or civil reviews or revisions depending on the nature of dispute and issues which escalate vertically to appellate/ revisional/ reviewing forums. This vertical travel is extendable upto the Supreme Court directly or indirectly as an SLP or writ or statutory appeal. Meanwhile, concepts of res judicata and res sub judice get activated which bar repetition of reliefs claimed. Once the Supreme Court decides the issue, an interesting doctrine of ‘interest Republicaeut sit finis litium' finds worth. This phenomenon states that it is for the public good that there should be an end of litigation after a long hierarchy of appeals. However, in the interest of justice, the founding fathers and mothers inserted Article 137 of the Constitution, which allows a review of orders passed by the Supreme Court. A logical question arises, what if even after disposal of a review petition, injustice survives? Can an aggrieved person say that I am affected by a judicial order of the Supreme Court and claim issuance of a writ against it? Can the Supreme Court issue a writ to itself? Considering that there is no intra court appeal in the Supreme Court and there is an accepted legal doctrine i.e., actus curiae neminem gravabit, which suggests that the act of court shall prejudice no one, it becomes imperative to find a solution. A constitution bench of the Supreme Court in Rupa Ashok Hurra was seized of a question that whether an aggrieved person is entitled to any relief against a final judgment of the Supreme Court after dismissal of review petition either under Article 32 or otherwise. This was a case of a matrimonial discord where the question of validity of a decree of divorce reached the Supreme Court after the woman withdrew the consent she had given to divorce by mutual consent. Justice Syed Shah Mohammed Quadri, speaking for himself and three other judges (Chief Justice Bharucha, Justice Vaiava and Justice Patil) held that a final judgment passed by the Supreme Court cannot be assailed in an application u/a 32, irrespective of him being a party or not. Justice Quadri held that to prevent abuse of its process and to cure a gross miscarriage of justice, the court may reconsider its judgment in exercise of its power under Article 142 of the Constitution. Justice Quadri further made it clear that it should not amount to a second review petition and the curative petition (as the name itself suggests) shall be admissible only on two grounds i.e., violation of principles of natural justice i.e., passed without hearing the party and if the judge failed to disclose his connection with the subject matter or the parties i.e., apprehension of bias. The fifth judge, Justice Banerjee, in a concurring opinion held that curative petitions ought to be treated as a rarity and added the expression of shaking of public confidence die due to apprehension of bias. Justice Banerjee also paved the way for procedural justice system to prevail on conceptual justice system. Therefore, four things follow -- Firstly, the concept of a curative petition is an extra constitutional judicial device to cure gross miscarriage of justice and abuse of process. Secondly, a curative petition is not to be heard in an open court unless specifically directed so and the same bench which passed the review order hears it generally as far as possible. Thirdly, it is settled law that a curative is not a re-hearing or a review of a review or an intra court appeal, but is a mechanism to cure defects based only on two major grounds. And fourthly, the success rate in a curative petition is very low. The judgment held the field till Order 48 was drafted in the Supreme Court Rules, 2013. The said order verbatim uses the text of the judgment. Since 2002, a lot of curative petitions have been filed, but there are few petitions and orders which deserve categorical mention here as they have supplanted to the curative jurisprudence. The Supreme Court has not only enhanced the sentence in a curative petition but also held that review of a review is impressible in law. [Ansal brothers’ cases, Uphar cinema tragedy] Read here , here and here. 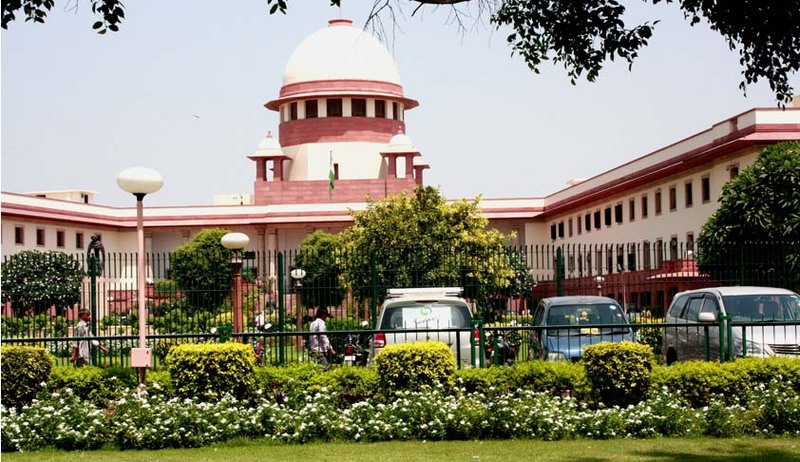 Special procedure for hearing review petitions in cases of death convicts has been laid down in Mohd Arif vs Registrar, Supreme Court [(2014) 9 SCC 737] by a constitution bench. A curative petition is a post decision exercise with very limited width at the admission level itself. The decorated concept is a must as judges are human beings and to err is human. I must, however, trace out three major defects in curative jurisprudence. Firstly, if the judges who had delivered the judgment and dismissed the review petition were to be part of the bench to hear the curative petition, then it is highly unlikely that a different decision will be taken. Secondly, only vide circulation in chambers without an oral hearing it becomes difficult to prove a valid point in law which may have been missed. Thirdly, absence of the curative petitioner’s counsel makes it an in-camera proceeding, which I am not sure suffices the test of procedure established by law. Nevertheless, the practice of filing regular curatives has been and must be discouraged as it will amount to wasting of judicial time. Coming back to the Saumya murder case, the six-member bench included three judges who had dismissed the review. In my submission, some hearing on questions of law so advanced ought to have been given a second thought as the review petition hearing had taken a different route altogether, courtesy Justice Katju.